A classroom instructor and librarian working together to develop an information assignment or series of assignments. What is the value of library instruction? Creates ladder learning for students in which library instructional approaches are used in increasingly sophisticated ways as the student continues through the college curriculum, especially within a discipline. 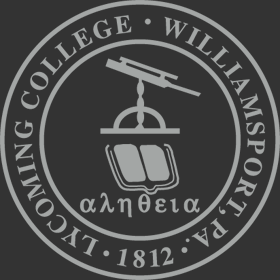 The faculty of Lycoming College affirm research and information competencies across the curriculum that will encourage Lycoming students to formulate and refine questions; to begin the discovery process; to differentiate between types of sources and their relevance; to evaluate the quality and suitability of information; to cite and synthesize diverse information; and to appreciate how a body of knowledge grows in a specific discipline. INQUIRE EFFECTIVELY– Students shape their inquiry to find and use appropriate information. As their skills advance, students come to view research as an iterative process that begins with a question that they refine and generate into new questions, thus contributing to the ongoing dialogue. SEARCH STRATEGICALLY – Students become aware of various information resources available in diverse media and learn a range of search techniques. As their skills advance, students adapt their search strategies to select the tools and techniques most appropriate to their purpose for writing. SELECT APPROPRIATE SOURCES – In an oversaturated information environment, students evaluate information sources critically, selecting authoritative and relevant sources rather than the most convenient. As their skills advance, students come to appreciate that authority is nuanced and that cross-referencing information encourages reliability. RECOGNIZE THE VALUE OF INFORMATION – Students come to appreciate the skills, time, and effort needed to compose reliable information. Students come to value information as they learn how scholars create it. As their skills advance, students demonstrate respect for the intellectual and monetary value of information through proper citation and responsible information use. APPRECIATE HOW KNOWLEDGE IS BUILT – Students recognize that scholars often create knowledge by building on one another’s work through synthesis and by communicating through various media. As their skills advance, students develop their own voices and authority and come to view their research products as new information sources that may contribute to a body of knowledge. Students recognize that audience, medium, and purpose affect how a text is written, read, and understood. The Snowden librarians are eager to participate in the fight against intentional plagiarism on our campus as well as educating our students to avoid accidental plagiarism. Please see the plagiarism tutorial the library has prepared. We would also be happy to include this in a library instruction session or come to your classroom to discuss this issue with your students in person. We also maintain the Turnitin.com software, which can detect plagiarism. Please contact Mary Broussard if you have any questions regarding this product. Click here for additional online tutorials. For further information on library instruction or to arrange a class, please contact Emily Hardesty at x4087 or hardesty@lycoming.edu.